Kind of a silly but fun Saturday post... I’ve been seeing these A to Z surveys all over the place so I decided to do one, too. But in all honesty, I have changed a few of the questions to suit my own tastes... that's very typical of me! A – Activity you like best: Tennis, golf, running, lifting weights... I just like movement of all kinds. I have never been good at sitting still. B – Biggest Fear: I am afraid of bats, and occasionally worry about failing health as I get older. C – Current Obsession: Losing 5 pounds. 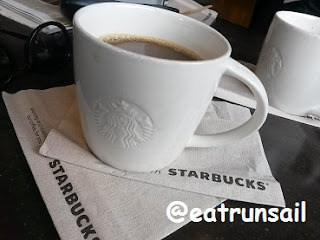 D – Drink You Like Best: Coffee... I have a cup beside me now. I like it hot or iced. Black or white... never any sugar! E – Earliest Memory: Going to Sunday School with my Daddy as a toddler and putting pennies in the church box on my birthday. F – Favorite Song: I have a few oldies that I love... Unchained Melody by the Righteous Brothers, and Brown-Eyed Girl by Van Morrison come quickly to mind. G – Grossest Memory: When I was a very little girl I found I had stepped on my sister's pet mini frog and squashed it! Ugh! H – Hometown: I was born in a small town in Alberta because the even smaller town my family lived in had no hospital. We moved to Calgary when I was a toddler and I consider that my home town. I lived there till I was an adult. J – Jealous Of: People who travel more than I do! K – Kindest Person You Know: My older sister is the nicest, kindest person I know. I have honestly never heard her say a mean word about anyone and she is generous and extremely patient. L – Longest Relationship: My husband. We have been married almost 25 years. O – One Wish: That I remain healthy and active to the end! P – Pets you have loved: Our Springer Spaniels, Penny and Scout, both have passed on. Q – Question You’re Always Asked: Who cuts your hair? R – Reason To Smile: I love my life! S – Song You Last Sang: Up town Funk (You Up)... I hear it on the radio all the time and we get a real kick out of it! T – Time You Normally Wake Up: 6 to 6:30 a.m. That is pretty standard for me. U – Underwear Color: All different colors! V – Vacation Wishlist: Have lots of places on my wish list... Ireland, Greece to name a couple. I would love to do a European River Cruise too. W – Worst Habit: Putting my fingers in my mouth. Drives The Captain bonkers! X – X-Rays You’ve Had: Feet, legs, and scans all over my body and internal organs. Y – Your Favorite Food: Chocolate, peanut butter, frozen cherries, bananas, avocados... it's a very long list of favorites. Z – Zodiac Sign: Gemini - The Twins - apparently this is why I find myself seeing both sides of an argument all th time! Have you done this survey yet? I hope you will so I can come read it and learn more about you! This is so fun! May have to borrow the idea, this is the first time I've seen it. Loved learning more about you. I love learning more about my fellow Bloggers! Haven't done the survey yet but always fun to read more about blogger friends. Have a great day! I've haven't done this particular survey, but have done other similar ones. 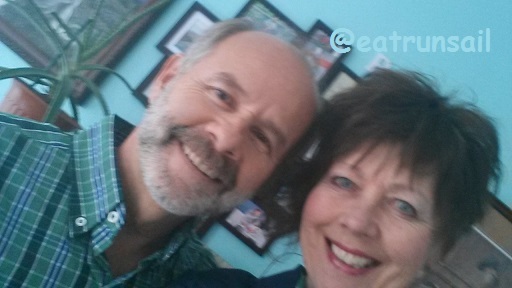 Its always fun to learn more about the person behind the blog! Fun! I love learning more about my blogger friends. I have a survey post coming up this week, but it's a different survey than yours. Seems to be a lot of surveys going around! fun survey. uptown funk is so addictive! Love this! And spending more time in Greece is on my list after having spent just a few hours on a few islands during a cruise a few years ago. Fun survey! I love these ways of getting to know other bloggers! I am also jealous of people who get to travel more than I do! I absolutely love visiting new places! 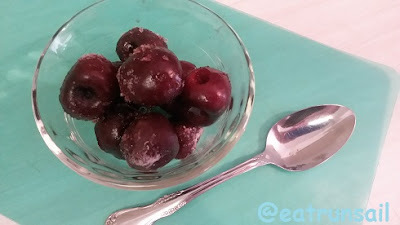 Frozen cherries are one of my favorite snacks too! And I almost put Brown Eyed Girl as a favorite song, it definitely is one of my favorites! Great post! I love your reason to smile! Loving life! so fun! I've never tried to freeze cherries - grapes, but not cherries. Must try!! I love surveys! when I'm back from vacay I will have to make this one of my blog posts too :) And omg heather's comment about myspace...totally forgot about that. I've always said I'm not really a cruise kind of girl, but European River Cruise? That sounds interesting! I don't even have a travel list because I pretty much want to go everywhere. I'm a Cancer, my middle name is Elizabeth and my girls LOVE "Up town Funk you Up - they dance to it and sing almost all the words! We have a lot of dance parties in our house - my poor husband, ha ha!